Here it comes GeekTool. What it is? 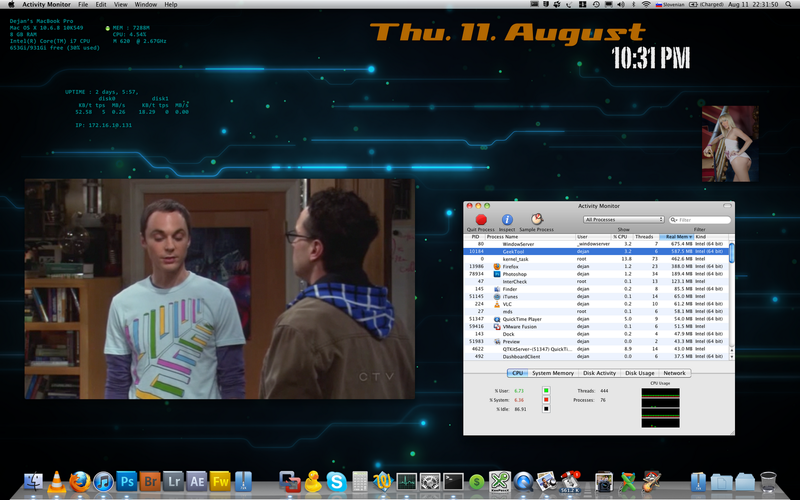 It's a nice tool to customize your mac desktop. You can show some informations of your system, also you can show pictures from your disk and also content of some files. You can see my picture as example of my favorite setting.